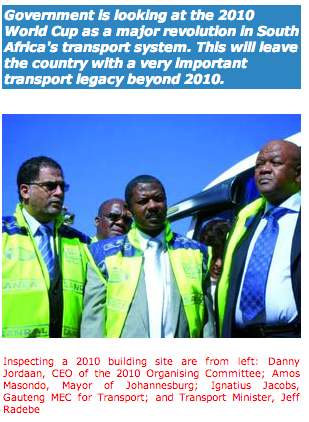 The Department of Transport has committed R13,6 billion to improve the country's public transport infrastructure for 2010. This is part of promises made to Fifa by the South African government. Some of the projects have already been completed while many others are progressing well. 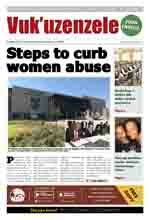 Johannesburg has taken the biggest slice of the department's R2,8 billion 2010 budget. This is because the city will be the central hub of operations during the event. It will also host both the opening and the closing ceremonies. 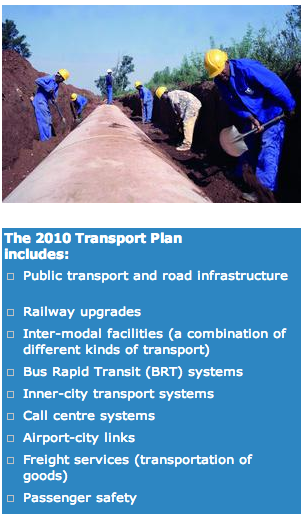 The 2010 Transport Plan represents one of the most widespread developments ever seen in our country. It includes road networks, buses, passenger railways, taxis, and airport infrastructure. But money alone cannot deliver the transport system. The department relies on the passion, hard work and commitment of everyone involved at national, provincial and local level - and most importantly, the South African public. Dedicated transport for rights holders: A system to transport soccer teams, Fifa VIPs and visiting dignitaries. Premium transport service: For the travel needs of special groups. Standard public transport service network: Mainly to transport spectators from the general public. About 2 035 luxury and standard buses will be bought to meet the needs of the different groups. To operate this fleet, about 1 546 inter-city drivers will be trained. To ensure the safety of passengers, security guards will be on duty at all public transport sites and especially at boarding points and on board buses and trains.